If you are active?walking, running, biking, playing tennis, gardening, climbing mountains or working at physically demanding occupations?your joints are taking a pounding every single day. The cartilage that cushions and enables your joints to move comfortably is being challenged and perhaps even worn away by repeated movement or impact. Wouldn?t it be tremendous to do something now to stop the process of joint degeneration? Wouldn?t it be great 10, 20, 30 or even 40 years from now to enjoy the same (or better) mobility you enjoy today? It?s possible with AIM Frame Essentials?. Our lifestyles demand ?performance? ?producing the greatest results human efforts can achieve?with little regard for the consequences of our exertions. We push our limits almost every day, and our amazing bodies rise to the challenge, for a time. But there comes a day when, if we have forgotten to care for those unseen warriors, our joints and cartilage, they will wear out and the quality of our lives will suffer. The combination of two forms of glucosamine, MSM (methylsulfonylmethane) and boswellian extract in AIM Frame Essentials?# can help to maintain proper joint function, rebuild injured cartilage and prevent the damage of every day wear and tear. Glucosamine stimulates the production of cartilage-building proteins, helping to maintain our cartilage and replace cartilage that has been worn away through years of use or joint stress. It also aids in the absorption of water in the cartilage to more adequately cushion joint movement. AIM Frame Essentials? contains two forms of glucosamine to ensure that your body will absorb the form that best meets its needs. MSM, a biologically active form of sulfur, is similar to that found within the synovial fluids in joints. Research has also shown that MSM enhances the effectiveness of glucosamine to maintain joint flexibility and mobility. Known for centuries for its effectiveness in maintaining healthy joints, boswellia serrata, improves blood supply to the joints. This helps in reducing joint swelling, maintaining mobility and reducing pain due to joint stiffness. How about you? If you are active, why not employ an ounce of prevention and add AIM Frame Essentials? to your regular nutritional regimen for a healthy, mobile future? 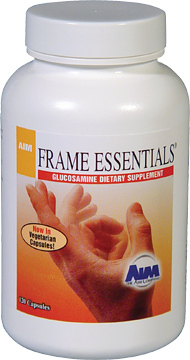 If you are suffering from joint pain, give AIM Frame Essentials? the 30 day test. Take two or more AIM Frame Essentials? twice a day for 30 days and see what happens. Your joints will thank you! Learn more about AIM Frame Essentials, download the datasheet here! 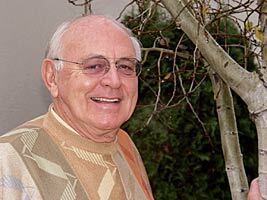 AIM co-owner, Ron Wright has experienced the restoration of damaged cartilage first-hand. At age 14, Ron suffered a very severe hip injury. It took a year to bring his hip function back to near-normal. However, over the years, the cartilage in his hip deteriorated until, by age 69, he was in continual pain. Ron explains, ?I found standing and walking difficult and was only getting 1 to 2 hours sleep a night, due to the pain.? Ron sought a sports medicine specialist who told him his hip was basically functioning without cartilage, bone-on-bone, and recommended hip replacement. Not willing to take such drastic measures, Ron turned to the new AIM Frame Essentials? in vegetarian capsules. After two weeks of taking just three capsules per day, Ron realized he was sleeping better and had less pain. He sought a second opinion from another hip specialist. Viewing the new x-ray, the doctor explained, ?Mr. Wright, if I had your hip, I wouldn?t have a hip replacement. You have slight bone-on-bone contact on the side, but on the top there is cartilage. It?s getting better!? When Ron showed his doctor the AIM Frame Essentials?, the doctor validated the effectiveness of glucosamine in restoring cartilage. Ron is enjoying greater mobility?without pain?than he has in years. Copyright ? AIM International, Inc. Used with permission.